Marco Benevento: He doesn’t always wear a striped suit and a top hat, but when he does, he looks absolutely fantastic. Cheers to Marco Benevento, keyboard extraordinaire, who can tickle the ivories with such supernatural speed, that he defies all logic. When Marco buys a piano off Craigslist, an angel named Craig gets its wings. If you ask one of his chickens what came first, they’ll tell you Marco came before the chicken AND the egg. Marco Benevento doesn’t listen to music, the music listens to him. Please join us in wishing a very happy birthday to the most interesting man in the world! As if graduating from Berklee College of Music wasn’t exceptional enough, Benevento was presented his diploma by Ziggy Stardust himself. Watch as David Bowie honors the Berklee College of Music class of 1999. With one hand shake, his cosmic particles were passed on to the most interesting grad in the class. Marco received a special nod from Trey Anastasio during Phish’s performance of Run Like an Antelope at Alpine Valley in 2010. Instead of the lyric “Marco Esquadolas,” the lyric was changed to “Marco Benevento.” This performance also made it onto the DVD and official release of Phish Live at Alpine Valley. Not only is Marco Benevento tremendously talented, he’s an animal lover, and we’re suckers for a furry face. We heard Benevento owns nine chickens, two goats (Blackie and Brownie), a peacock (George McFly), and a few roosters. 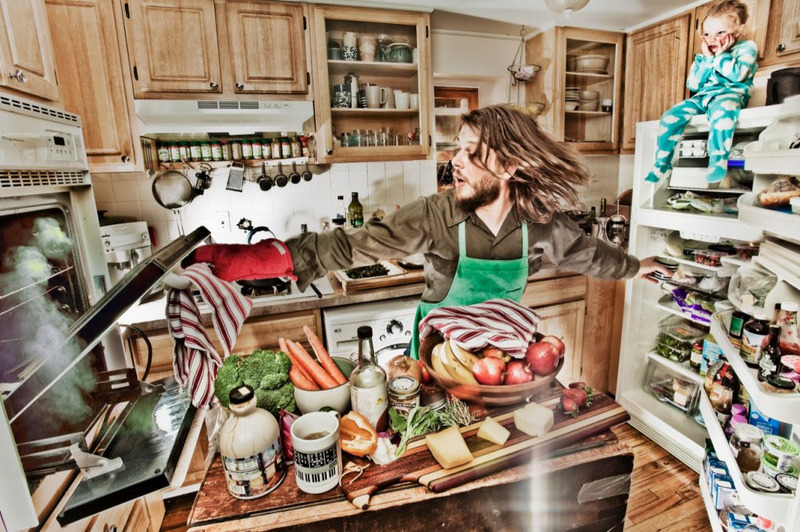 According to bandmate Karina Rykman, “Marco is an EXCELLENT chef and he makes eggs (that come straight from his chickens) with sautéed veggies every morning when we stay over.” We can’t wait to see what Chef Benevento cooks up at this year’s LOCKN’. Marco Benevento is constantly monitoring the Craigslist classifieds in search of free pianos for parts and additions to his massive instrument collection. In fact, he’s recently been making a bookshelf out of the body of a baby Grand piano. Who knew this man was so handy? On the same property as his farm animals, Marco Benevento built a recording space called Fred Short Studios. In an interview with Pollstar.com last March, Benevento said, “I’m just inspired by this freakin’ room that I have here – the studio. It’s like 20 feet long by 16 feet wide. It’s this little house next to our other house. It’s a separate space that I can just get groovy in, man.” His latest solo album, “The Story of Fred Short,” was recorded and self-produced at his home studio and released on his own record label, The Royal Potato Family. Is there anything he can’t do? Who accidentally appears in a music video for The Pixies? Only Marco Benevento, and in full TigerFace regalia. According to Benevento’s rep, the music video contained clips from a performance at the Pickathon in Happy Valley, OR. Neither the band, nor anyone associated with them had any idea that they were being filmed or that they would be in the music video. Good friends are like stars, always there. 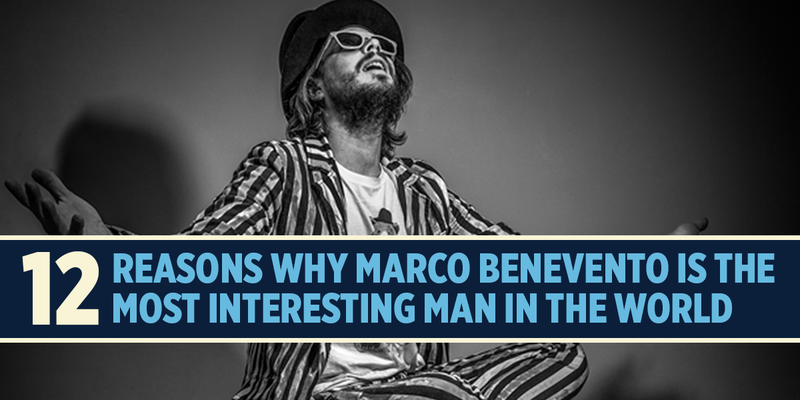 Some friends come and go, but not if that friend is Marco Benevento. The lifelong friendship of Benevento and Joe Russo dates back to their days at the same Northern New Jersey middle school. A dad is a daughters first love. Let your heart be captivated by this touching video of Benevento and his daugther sharing a musical moment. If someone asked us what a hero is, we would say this man right here! At the Belly Up in Aspen, Colorado, there’s a bathroom stall named the “Benevento Russo Duo Stall.” So it seems you really can have it all. Need we say more? If you want to get right to it, skip to 19:47﻿. Marco Benevento has established himself as one of the most in demand players in the scene. From playing his own original music, to blowing minds performing the music of the Grateful Dead or Led Zeppelin, his versatility knows no bounds.